Exclusive: Too Big-to-Fail Pension Insurer Agrees to Liquidation Trust in ResCap NY Bankruptcy. Is a Bailout Next? Gust post by Marinka Peschmann, investigative journalist and author of The Whistleblower and Following Orders. 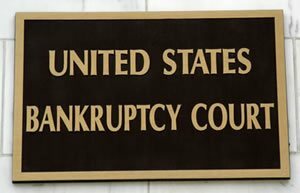 If you think it is only your mortgages and homes which are at stake in the largest bankruptcy in history where the simultaneous Chapter 11 bankruptcy filings of 51 residential mortgage companies occurred that is being heard in the Southern District of New York’s Bankruptcy Court before Judge Martin Glenn, think again. Embedded within the claims/creditor section is Pension Benefit Guaranty Corporation (PBGC). Established in 1974, PBGC is a federal chartered agency that insures more than 26,000 private-sector pension plans. The agency protects the retirement incomes of over 44 million Americans and is running a record $36 billion deficit. PBGC filed claims against all 51 bankrupt residential mortgage companies that are directly or indirectly owned by Residential Capital, also known as ResCap. Does GMAC, Residential Capital, Residential Funding Company, Residential Asset Security Corporation, Residential Accredit Loan, Residential Asset, ditech, Equity Investment, Homecomings Financial, and DOA Holding Properties sound familiar? Brace yourself American taxpayers and pensioners. PBGC withdrew their claims against the 51 bankrupt residential mortgage companies and agreed to a Liquidation Trust found in this order confirming the Second Amended Joint Chapter 11 Plan in the N.Y. bankruptcy. Watch PBGC’s deficits keep climbing north. Liquidations are accompanied with pennies on the dollar. The pink elephant in the room is PBGC’s Ponzi-scheme business model. It is destined for collapse like all Ponzi-schemes eventually do. While it is true that PBGC receives funds from pension plans it takes over from bankrupt companies, in reality when a bankrupt company (like American airlines) offloads their pension liabilities to PBGC, this helps the bankrupt company’s restructuring efforts but dumps an enormous and unsustainable strain onto PBGC. PBGC will need to be replenished to survive in order to insure the nation’s boat loads of dead pensions don’t sink the good pensions. How much it will ultimately take is anyone’s guess. One noted economic expert Jim Willie CB of GoldenJackass.com believes well over $1 trillion in funds will be necessary to preserve millions of Americans’ pensions. A national calamity awaits, as home equity is largely gone, next pensions. Is your pension with PBGC? Do you want to bail them out when they fail? While there has been virtually no press coverage of this bankruptcy that affects the entire U.S. economy, millions of homeowners, pensioners and nations who purchased RMBS securities are affected. It far exceeds the General Motors bankruptcy which received front page media coverage for months. Keep reading to avoid being blindsided by the fallout from this bankruptcy.